Budgets. Th e word strikes fear into the most hardened person. It’s usually associated with words or phrases such as “boring”, “restrictive”, “deprivation”, “hard work” and “fun spoiler”. But it doesn’t have to be, and if you want to take control of your finances, you have to know where your money is going. You need to be master of your money, not its slave. If you are in the situation of having too much month left at the end of money, or even if you’re not, but you still don’t really know where your money is going, you need to do a budget. The hardest part, like anything, is getting started. Once you have your budget in place, it just needs the occasional update, but most importantly, YOU will have a clear idea where your money is going. And that’s what it’s all about, taking control of your finances. Firstly, what exactly is a budget? Companies large and small do them. Governments do them. Many individual people do them as well. In its simplest form, it’s a comparison of a list of your expenditure – where your money is being spent, on what and when, against your income. You can use this information to track your own expenditure and identify areas where you can perhaps cut down on excessive discretionary spending. Sometimes, actually seeing the amount you might spend in a week or a month on say, magazines, coffees or manicures is enough to shock you into reviewing whether the particular expenditure is really necessary. Especially when you consider the opportunity cost of better, more appropriate expenditure or savings that this money could be used for. So, where to start? A great way to start might be to simply keep track of every bit of expenditure during a month, just as described on the Find Your Hidden Cash post. This is easier if it can be put into a spread sheet, but can also be recorded on paper. You will need to have a number of different headings or categories, such as food, motor vehicle, entertainment, transport, rent or mortgage payments, car and/or other loan repayments, children, medical, electricity, clothes, donations and/or tithing, you get the picture. This can be as broad or as detailed as you like. You could break these main headings down with sub headings or sub categories. For example, within entertainment, you could have separate headings such as movies, theatre, theme park visits, dining out, or you could put dining out as a sub heading under food. Children could contain child care or school fees, clothes, books and toys. Motor vehicle could contain petrol, maintenance and insurance. Or you could just lump everything under one heading. It’s totally up to you, you’re the one who is going to be using this. You just need to know where your expenditure goes. Something to consider though is, you might have had an unexpected one off and expensive expenditure, for example on your motor vehicle, which brings the total motor vehicle expenditure up not just for the month, but for the year. If you use this figure for future budgets, it may skew the expected expenditure figures. In filling in your figures for budget purposes, it might help to look at past credit card statements, receipts, diary entries and even rely on your memory if yours is reasonably good, to know where at least part of your expenditure went. If you put all your purchases on credit card, even better, you have a really handy reference to help you see where your money goes each month. This can be quite an eye opening experience for some people. And don’t forget birthdays, Christmas, Easter, anniversaries, special days such as Mother’s or Father’s Day when expenditure can increase. Make sure you have a line item in your budget for gifts. This is a very quick way of putting together a budget without going through a year’s worth of actual expenditure, apart from the one offs. Once you have recorded a month’s worth, you can extrapolate this to an annual figure by putting your recorded month’s spend for each item on all the other months. This is where putting things into a spread sheet can simplify this process, as you can add more expenditure headings as you come across them. On your spread sheet, you can either make this your master budget and have the year’s total expenditure or you can add extra columns before the current month for the previous 11 months to have one whole year on your sheet. You can then add another column after the current month for the yearly totals of each category with an end total of the entire year’s worth of expenditure. At this stage it can also be a good idea to go through your files, credit card statements and receipts to find things that only occur quarterly, half yearly or annually. These can include, but are certainly not limited to, things like insurances (house and contents, car, health and any other such as income protection), memberships or subscriptions (gym, magazines, professional or sporting bodies), telephone or electricity (although these are increasingly becoming monthly payments), gas, motor vehicle and other registrations. If you like to take regular holidays at least once or twice a year, then make sure you add this expense as well. Then there are other things which may only come up occasionally, like driver’s license or passport renewals, travel insurance. These can most likely be left off your expenditure list for this exercise unless you know something is expiring imminently or you will be travelling soon and need to allow for it in your budget. Use this spread sheet as a template for future budgets and be sure to update amounts as they occur, so you can keep track of increases or decreases to expenditure amounts. Or you could expand it as per below. To really get a grasp of your finances, create a new column for each of the prior 11 months on your spread sheet or sheet of paper for each month. You’re going to do the same thing for the previous 11 months and start recording all the historic information, so all of the previous year’s expenditure month by month right up to the completed current month. You then add another column at the end for the year’s total, which has the annual amount or the total of all the monthly expenditures on it. This is easy to do in a spread sheet, and will also automatically update your total if you change any of the monthly figures, but will require a little more work in a manual system. Now, once you have the annual figure for each heading, total up all the annual amounts at the bottom of this column. Mark it in bold, put a line above and double line below and if required, make it larger or increase the font size. This is the total of your expenditure for the entire year. How does this figure compare to your annual net income? Is it more or less? This is an important part of the budget process. If it is less, but you don’t have extra money in your account, then somehow that “extra” money that you should have, is being frittered away. However, if the total expenditure amount is more than your net take home pay, you need to seriously sit down and do some work on where you can cut back. The aim always is to live within your means, so you spend less than you earn. On top of this, your budget needs to have a line item for regular savings. Regular savings is the key to building your wealth and increasing your investment portfolio and is a habit you must get into. If you set this up automatically, you won’t even miss the amount being funnelled into your savings account, particularly if it’s a completely different and a rather inaccessible account as discussed in the Start a Savings Plan post. Another line item you should have in your budget are for the unexpected things that can occur, such as repairs to electrical items or your car, medical emergencies or having to replace a hot water system that has failed. Have a line item for repairs and maintenance for both house and car. Even if you rent, you will occasionally need to have household items repaired. The good news is, that even if your expenditure exceeds your income at this moment in time, being aware of it makes it easier to go through your total expenditure and find areas to cut down your spending. You are in a much better position than the person living beyond their means but completely unaware of this. Now, what is the upshot of all this? Firstly, you are now much more aware of where you are spending your money. 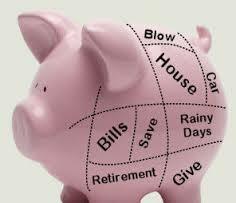 Secondly, it helps to identify areas where you can make savings. Thirdly, once you have pruned your expenditure where it is required, you now have a definite amount that you should have available to funnel into debt reduction as per the Eliminate Your Debt post, if required, or which can be put towards your savings plan. So now, going forward what do you do and what can you use this information for? Firstly, create a new budget for the upcoming year. If using a spread sheet, use the save as function to create a new budget. Then review these figures and decide if any of them are likely to change. Some could rise, but some could also fall, especially if you’ve identified areas where you could be a bit more prudent with your expenditure. Good luck, this exercise may take a while, but the end result is worth it. Could You Use an App Instead of a Spreadsheet to Budget? 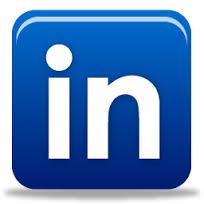 Read the published article on LinkedIn. 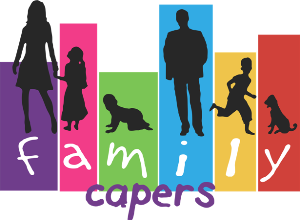 Read the published article on Family Capers. Read the published article on Ezine Articles.